From October 2012 – September 2013 I took time out on a working holiday and backpacking adventure. 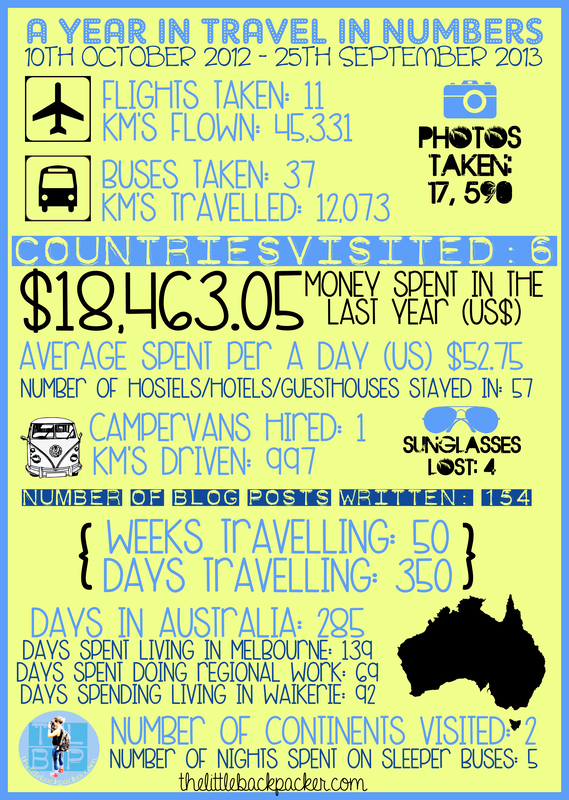 Here is my first attempt at an info-graphic to show you my statistics from the past year of travel. This is awesome! Well done. Looking forward to seeing more of your blog.